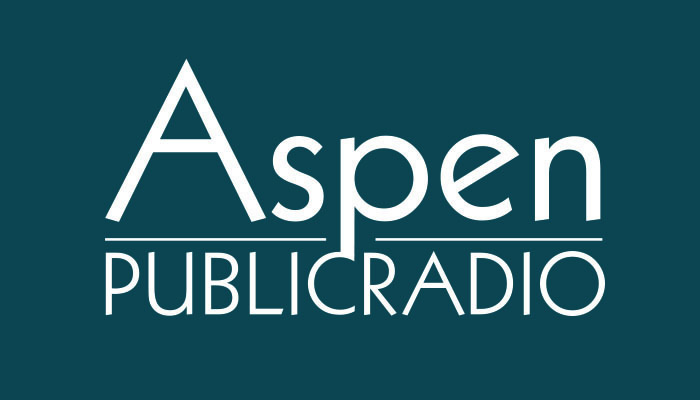 Aspen Public Radio is proud to partner with the Aspen Institute for the exclusive broadcast of the McCloskey Speaker Series. This longstanding summer series presents distinguished speakers who have far-reaching impacts on society, and is made possible by a generous donation from the McCloskey Family Charitable Foundation. 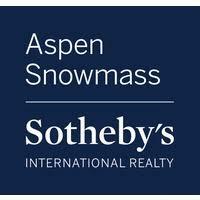 Support for live broadcasts from the Aspen Institute's McCloskey Speaker Series comes from Penney Evans Carruth with Aspen Snowmass Sotheby's, opening doors for buyers and sellers in the Roaring Fork Valley. More at 379-9133 or penney.carruth@sothebysrealty.com. US Secretary of State Madeleine Albright in conversation with Aspen Institute president and CEO Dan Porterfield about her newest book, Fascism: A Warning. From her early days as a refugee from a war-torn Czechoslovakia to her illustrious diplomatic career, Secretary Albright has had the unique prospective of witnessing history, studying it and helping to shape it. In her new book, she examines how the ideals of early twentieth century fascists like Hitler and Mussolini still permeate today’s politics and have given rise to contemporary leaders such as Vladimir Putin and Kim Jong-un. Featuring the Honorable Eric Garcetti, mayor of Los Angeles, in conversation with Aspen Institute president and CEO Dan Porterfield. Featuring Justice Stephen Breyer, Associate Justice of the Supreme Court of the United States, in conversation with Joshua Johnson, the host of NPR's 1A. Associate Supreme Court Justice Ruth Bader Ginsburg spoke last night at the McCloskey Speakers series at the Aspen Institute. Republican governors discuss the policies and programs that serve as the backbones of their respective states. Featuring Governor Phil Bryant of Mississippi, Governor Doug Burgum of North Dakota, Governor Mary Fallin of Oklahoma, Governor Eric Greitens of Missouri and Governor Scott Walker of Wisconsin in conversation with Aspen Institute President and CEO Walter Isaacson. In collaboration with the Aspen Security Forum, the McCloskey Speaker Series features John F. Kelly, Secretary of Homeland Security and a retired United States Marine Corps four-star general. Sec. Kelly served as Senior Military Assistant to two Secretaries of State, Robert Gates and Leon Panetta, from March 2011 to October 2012 before taking over command of the United States Southern Command, a position he held until January 2016. Gen. Keith Alexander is a retired United States Army four-star general, in conversation with Aspen Institute President and CEO Walter Isaacson. Gen. Alexander served as Director of the National Security Agency (NSA) and Chief of the Central Security Service from 2005-2014. Featuring Gen. Keith Alexander, a retired United States Army four-star general, in conversation with Aspen Institute President and CEO Walter Isaacson. Gen. Alexander served as Director of the National Security Agency (NSA) and Chief of the Central Security Service from 2005-2014. During his time as the NSA Director, he was nominated by the President and confirmed by the Senate to be the first commander of United States Cyber Command, a position he held from 2010-2014. Republican Governors Matt Bevin (KY), Lawrence Jogan Jr. (MD) and Pete Ricketts (NE) spoke with Anna Korologos as part of the McCloskey Speaker Series yesterday. Listen to their conversation below. With the results of the National Conventions hot off the presses, hear the media’s take on the Presidential nominees and their analysis leading up to the 2016 election. Jonathan Martin of The New York Times and Kathleen Parker of The Washington Post spoke with Aspen Institute President and CEO Walter Isaacson. The McCloskey Speaker Series continued on Tuesday with Steve Case, the co-founder of America Online. He spoke with Walter Isaacson, the president and CEO of the Aspen Institute. Case spoke to Isaacson about his latest book, "The Third Wave: An Entrepreneur's Vision of the Future". It examines some of the most important business decisions in the age of the internet. Listen to their full conversation, below. Aspen Public Radio’s broadcast of Aspen Institute’s President and CEO Walter Isaacson in conversation with Hank Paulson, current chairman of the Paulson Institute and former US Secretary of the Treasury. Republican governors gather to discuss their solutions to the issues of health care, the economy, immigration and other areas that are pressing in their states. Aspen Public Radio will be offering a live broadcast of the McCloskey Speaker series' "A Conversation with Republican Governors: What the Future Holds" On Tuesday, July 21st, from 6-7pm. You can listen live on the air or stream online. Aspen Institute President and CEO Walter Issacson, in conversation with Evan Williams, the chief executive of Medium, an online publishing platform. Williams is also one of the founders of Twitter and remains on the board of directors. Dr. Eric Smith argues that we need a new understanding of the nature of life, in which the dominant, Darwinian view of a “struggle for existence” comes second, and life at its core came about as a necessary layer of our maturing planet. Aspen Public Radio’s full coverage of of former President Jimmy Carter and former First Lady Rosalynn Carter in conversation with Aspen Institute President and CEO Walter Isaacson, as the kick off to this season’s McCloskey Speaker series.